ESRI’s ArcScene, part of ArcGIS 10, is an excellent tool for use in terrain analysis and visual depiction of landscapes. 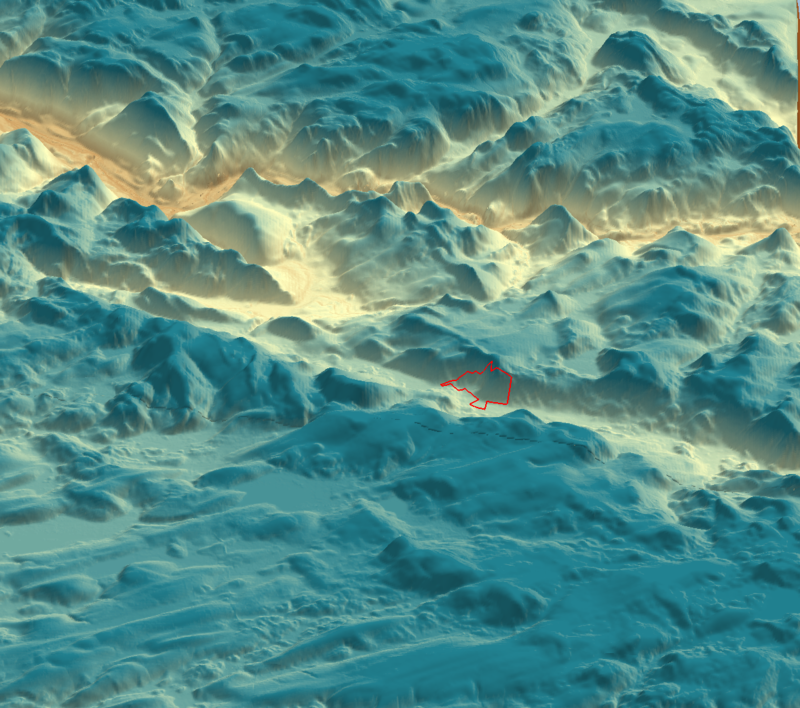 In this example, a new preserve in Cornwall, CT in the southern Berkshire Range was georeferenced and projected onto LIDAR 10′ digital elevation model data. Lower elevations trend toward yellow and higher elevations trend toward dark blue. The final perspective was created via 25-degree elevation and 30-degree illumination with a view to the west. The preserve lies in Cornwall Hollow, the headwaters of the Hollenbeck River (a calcareous system) that flows north (to right). In the middle distance is the Housatonic River that flows to the south (left). In the foreground are the highlands of Goshen. This kind of imagery is an effective tool in both site and landscape analysis as well as for conservation PR work.